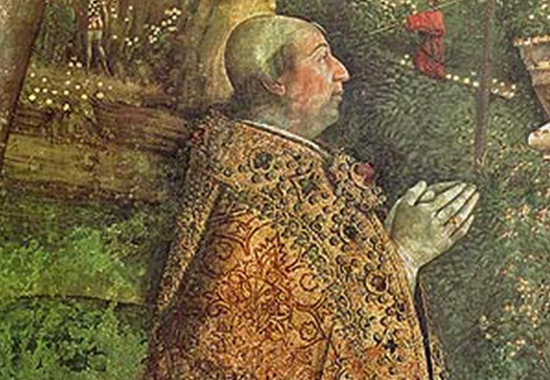 Alexander VI, detail of Pinturicchio's fresco, Vatican. 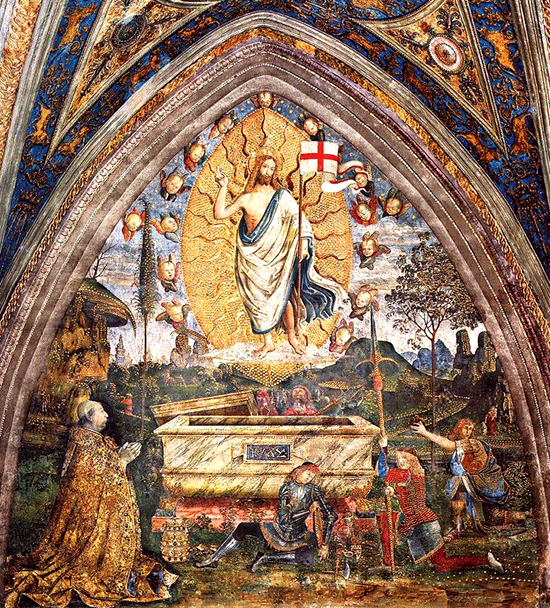 Between 1492 and 1494, and on Alexander VI's payroll, Pinturicchio decorated the Borgia Apartments, which are six rooms in the Vatican. Ruthless Alex was originally Rodrigo de Borja y Doms, because he was Spanish. The Italians called him Rodrigo Borgia. His uncle, Pope Calixtus III, made Rodrigo a cardinal. 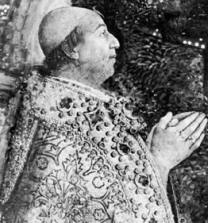 Rodrigo was Pope Alexander VI from 1492 - 1503. He lived in style and had several children, as popes do. In 1493, Alexander VI woke up particularly spunky and divided the entire New World between Spain and Portugal. In 1494, Spain and Portugal met, made some amendments to Alexander's papal decision and called the outcome Treaty of Tordesillas.